In 1963, a year after first publishing their ideas on the study of molecules as indicators of evolutionary patterns, Emile Zuckerkandl and Linus Pauling continued to explore what they felt to be a very promising thread of inquiry. Specifically, the two joined in arguing that the molecular clock method – as they had since termed it – might be used to derive phylogenies (or evolutionary trees) from essentially any form of molecular information. This position was further explicated in “Molecules as Documents of Evolutionary History,” an article published in Problems of Evolutionary and Industrial Biochemistry, a volume compiled in 1964 on the occasion of Soviet biochemist Alexander Oparin’s 70th birthday. 1.Semantophoretic Molecules (or Semantides), which carry genetic information or a transcript of it. DNA, for example, was considered to be composed of primary semantides. 2. Episemantic Molecules, which are synthesized under control of tertiary semantides. All molecules built by enzymes were considered episemantic. 3. Asemantic Molecules, which are not produced by the organism and do not express (directly or indirectly) any of the information that the organism contains. In their discussion, Zuckerkandl and Pauling were quick to point out that certain asemantic molecules may shift form. Viruses, for example, can change form when integrated into the genome of the host; so too can vitamins when used and modified anabolically. Semantides were considered most relevant to evolutionary history, but the term never caught on in biology, paleontology, or other allied fields relevant to the study of evolution. Nonetheless, whatever the nomenclature, the “semantides” that Zuckerkandl and Pauling wanted to investigate – DNA, RNA, and polypeptides – proved indeed to be precisely the treasure trove of information on evolutionary history that the duo had hoped would be the case. A figure from the French translation of Zuckerkandl and Pauling’s 1964 paper. Zuckerkandl and Pauling argued that, by assessing the overall differences between homologous polypeptide chains and comparing individual amino acid residues at homologous molecular sites, biologists and paleontologists would be better equipped to evaluate the minimum number of mutational events that separated two chains. With this information in hand, researchers would thus be empowered to exhume the details of evolutionary history between species, as inscribed in the base sequences of nucleic acids. This set of data, they believed, would hold even more useful information than would corresponding polypeptide chain amino acid sequences, since not all substitutions in the nucleotides would be expressed by differences in amino acid sequence. A table from Zuckerkandl and Pauling’s 1965 Bruges paper. As their work moved forward, Pauling and Zuckerkandl published another paper, 1965’s “Evolutionary Divergence and Convergence in Proteins.” This publication appeared in Evolving Genes and Proteins, a volume that emerged from a conference that the two had attended in Bruges, Belgium. Certainly we cannot subscribe to the statement made at this meeting by a renowned biochemist that comparative structural studies of polypeptides can teach us nothing about evolution that we don’t already know. Taxonomy tends, ideally, not toward just any type of convenient classification of living forms (in spite of a statement to the contrary made at this meeting). The evaluation of the amount of differences between two organisms as derived from sequences in structural genes or in their polypeptide translation is likely to lead to quantities different from those obtained on the basis of observations made at any other higher level of biological integration. On the one hand, some differences in the structural genes will not be reflected elsewhere in the organism, and on the other hand some difference noted by the organismal biologist may not be reflected in structural genes. Indeed, it was these early observations, coupled with additional work conducted by those scientists who took their ideas seriously, that allowed for the development of a successful measure of rates of evolutionary change over time. Without these data, modern paleontologists, physical anthropologists, and geneticists would not be able to accurately determine evolutionary histories. Today, this technique has been systematized and specialized in the field of bioinformatics, which is now foundational to many studies in both biology and medicine. The taxonomic purpose of the molecular clock, however, was only a byproduct of Zuckerkandl and Pauling’s main ambitions in studying paleogenetics: to better understand the modes of macromolecular transformations retained by evolution; to elucidate the types of changes discernible in information content; and – most importantly for Pauling – to identify the consequences of these changes for a given organism. Despite its considerable potential, the work of Zuckerkandl and Pauling, though conducted at such a critical juncture in a nascent field, was largely forgotten as recently as the early 1990s. In fact, in Allan Wilson and Rebecca Cann’s 1992 article, “The Recent African Genesis of Humans,” it was implied that the concept of the molecular or evolutionary clock was first developed and employed by a Berkeley anthropologist, Vincent Sarich. Sarich had collaborated with Wilson in 1967 to estimate the divergence between humans and apes as occurring between four to five millions years ago. Pauling was still alive in 1992, and seeing this article he duly wrote to the editor of its publisher, Scientific American, pointing out that that, in fact, he and Zuckerkandl had, in 1962, issued their own estimate of the disappearance of the last common ancestor of gorilla and man. Zuckerkandl and Pauling’s calculations had yielded a divergence at about 7.6 million years before present, which Pauling pointed out was much closer than Sarich’s figure to the more recent estimates of divergence determined by Sibley and Ahlquist in 1984 and 1987. Notably, Pauling and Zuckerkandl’s estimate continues to remain closer to more contemporary notions of 8 to 10 million years. Today, Emile Zuckerkandl and Linus Pauling are remembered as having first championed the notion of the molecular clock, even if many of the details now deemed as fundamental still needed to be ironed out by an array of scientists who followed. Regardless, as in so many other areas of science, Pauling proved once more to be on the ground floor of a new discipline. This was an academic venture that continued also to serve the younger Zuckerkandl well, as he continued on through a prolific career in science that concluded with his passing in 2013. 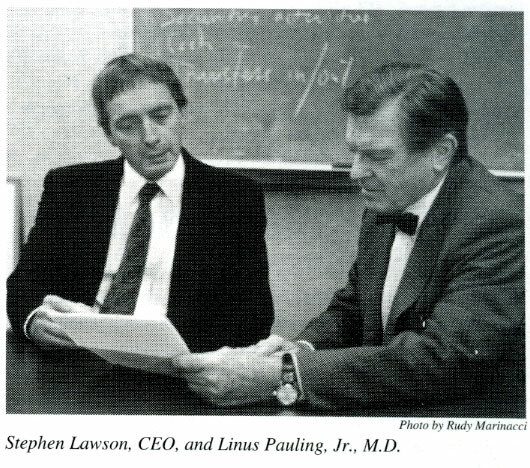 Linus Pauling and Emile Zuckerkandl, 1986. Austria-born Emile Zuckerkandl fled to Paris with his parents to escape the Nazi occupation of his homeland when he was only sixteen. 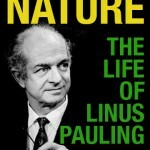 Twenty years Linus Pauling’s junior, this extraordinary scientific mind was nurtured through the study of the biological sciences at the University of Illinois in the United States, and the Paris-Sorbonne University in France. During the course of these studies, Zuckerkandl developed a particularly keen interest in the molecular aspects of physiology and biology, and is now regarded to have been a major contributor to both fields. Zuckerkandl first met Linus Pauling in 1957, a time period during Pauling himself was spearheading the new study of molecular disease, following his earlier, groundbreaking discovery of the genetic basis of sickle cell anemia. Two years later, Zuckerkandl joined Pauling as a post-doc in the Chemistry and Chemical Engineering Division at the California Institute of Technology. Once arrived, Zuckerkandl was encouraged by Pauling to study the evolution of hemoglobin, a research project that was informed by a basic and crucial assumption that the rate of mutational change in the genome is effectively constant over time. This assumption was something of a hard sell for biologists at the time, due to the prevailing belief within the discipline that mutations were effectively random. Undaunted, Pauling and Zuckerkandl moved forward with their project and ultimately created a model that, over time, ushered in major changes to the conventional wisdom. The Pauling-Zuckerkandl project was first revealed to the world in a co-authored paper that appeared in 1962’s Horizons in Biochemistry, a volume of works written and dedicated to the Nobel winning physiologist Albert Szent-Györgyi. The paper, titled “Molecular Disease, Evolution, and Genic Heterogeneity,” is regarded today as a foundational work in its application of molecular and genetic techniques to the study of evolution. At the time that Pauling and Zuckerkandl wrote this first joint paper, Pauling was, as the title of the work might suggest, very interested in molecular disease; so much so that he was thinking about molecular disease and evolution as occupying two sides of the same coin. Defining life as “a relationship between molecules, not a property of any one molecule,” Pauling believed that disease, insofar as it was molecular in basis, could be defined in exactly the same way. Since both evolution and molecular disease were merely expressions of relationships between molecules, the distinction between the two became blurred for Pauling, who felt that the mechanism of molecular disease represented one element of the mechanism of evolution. Subjectively, to evolve must most often have amounted to suffering from a disease. And these diseases were of course molecular. …[T]he notion of molecular disease relates exclusively to the inheritance of altered protein and nucleic acid molecules. An abnormal protein causing molecular disease has abnormal enzymatic or other physicochemical properties. Changes in such properties are necessarily linked to changes in structure. The study of molecular diseases leads back to the study of mutations, most of which are known to be detrimental. A bacterium that loses by mutation the ability to synthesize a given enzyme has a molecular disease. The first heterotrophic organisms suffered from a molecular disease, of which they cured themselves by feeding on their fellow creatures. At the limit, life itself is a molecular disease, which it overcomes temporarily by depending on its environment. These assertions – in particular that “life itself” was a molecular disease – were so strange and seemingly outrageous that many biologists dismissed the paper outright. However, the basic idea that the pair was considering simultaneously sparked the interest of many other scientists who willing to entertain the consequences of this mode of thinking. If Pauling and Zuckerkandl were right, then every vitamin required by human beings stood as a witness bearing testimony to the molecular diseases that our ancestors contracted hundreds of millions of years ago. These “diseases” would manifest negative symptoms only when the curative properties of the nutrients gained from our natural environment through food and drink proved insufficient to dampen their effects. This line of reasoning provided the impetus for Pauling and Zuckerkandl to begin examining differences between the genetic code as a tool to better understand evolutionary history. Though they did not call it “the molecular clock” at the time, the concept served as the foundation for the genetic analysis of species over long periods of evolutionary history. Fundamental to Pauling and Zuckerkandl’s argument was the notion that there was no reason to place molecules at specific points “higher” or “lower” on an evolutionary scale. Horse hemoglobin, for example, is not less organized or complex than is human hemoglobin, it is simply different. The same is true for the genetic information contained in the hemoglobin of humans as compared to other primates, such as gorillas. As Zuckerkandl examined differences of these sorts, he was not surprised to find that the peptide sequences of a gorilla were more similar to a human’s than a horse’s were to either. He and Pauling then began to consider how these sequences must be indicative of the millions of years of separate evolution that had passed since the disappearance of the last common ancestor linking horses and primates. While compelling in its own right, for Pauling the chief purpose of understanding these differences was to discern crucial information about the human condition and to define the parameters of optimal health. Indeed, Pauling fundamentally believed that an improved understanding of the transitions that the genetic code had undergone would ultimately reveal new and effective treatments for molecular diseases. Table I from Pauling and Zukerkandl’s 1962 paper. To demonstrate the efficacy of their methodology, Pauling and Zuckerkandl calculated the number of genetic differences that exist between the alpha and beta chains of hemoglobin peptide sequences in horses, humans, and gorillas, which they then used to determine the time that had elapsed since the erasure of the last common ancestor linking these species. In seeming support of their claims, the authors found that their figures matched pretty closely with data uncovered by paleontologists. Despite this, the impact of Pauling and Zuckerkandl’s paper dissipated pretty quickly. For other established figures in the field, Pauling and Zukerkandl had failed to prove the essential assumption that evolution should proceed with relative uniformity over time. Lacking a clear reason to accept that genetic change occurs at a constant rate, there was no compelling reason to believe that Pauling and Zuckerkandl’s molecular clock should give an accurate picture of evolutionary history. Nonetheless, the idea of the molecular clock found a degree of traction among biologists who valued its potential to corroborate and increase the accuracy of existing phylogenetic assignments. And as we’ll discuss in our next post, Pauling and Zuckerkandl continued to explore their ideas, eventually building a body of work that came into far greater favor a few decades later. 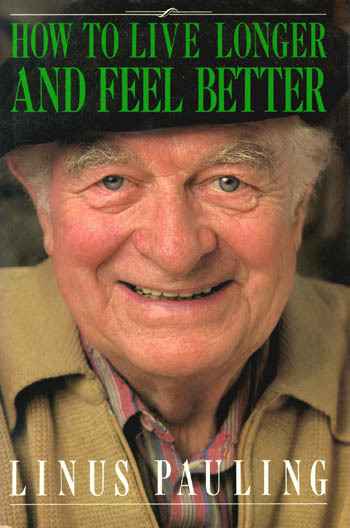 There was an article about Linus Pauling in Time magazine in early 1981 about the fact that at the age of 80 he was still seeking a grant from the National Institutes of Health (NIH) to fund his research on ascorbic acid for treating diseases. This news caught my attention and I looked into the possibility of joining Dr. Pauling’s institute. Toward the end of the summer I was invited to visit the Pauling Institute in Palo Alto, CA to give a seminar on my research at NIH. In late August Koloman Laki, an aging scientist at NIH, called me up and invited me over to his lab in NIH Building 10, a short walk across the campus from my lab in NIH Building 37. He was interested in talking to me about my recent discovery of mutations in human non-muscle cytoskeletal actin that was published in Cell in late 1980. This protein is the major architectural protein of all eukaryotic cells and we had shown that it was the most highly conserved protein in evolution of the species from yeast to humans. This fact made these mutations even more interesting. Koloman was a protege of the Hungarian Nobel Prize winner Albert Szent-Györgyi who, I later learned, was much admired by Dr. Pauling because he had discovered both vitamin C and actin. Koloman described how Szent-Györgyi discovered muscle actin. When I mentioned that I was to visit the Linus Pauling Institute in late September, he told me about Emile Zuckerkandl’s and Dr. Pauling’s work on the ‘biological clock,’ which provided evidence in support of Charles Darwin’s theory on divergence of the species. In the last week of September I flew to Oakland, CA and was picked up at the airport by Emile who was President of the Linus Pauling Institute of Science and Medicine. The next morning I stood up in front of Dr. Pauling and the institute staff to tell them about my discovery of a mutant human beta-actin and my speculation on its involvement in neoplastic transformation. The evidence suggested that I had actually discovered at least two mutations in the same gene, each of which caused a progression to a higher malignant state. 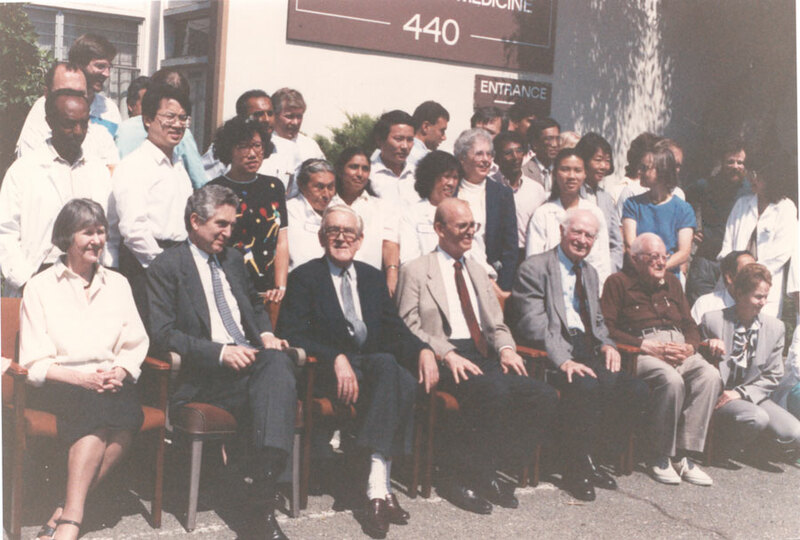 Linus Pauling was in the front row and was all smiles. He asked me if I knew who discovered actin. I was prepared to answer that question thanks to Koloman Laki. In the afternoon I met with Emile who offered me a Senior Scientist position at the Institute, which I accepted. At the time it would be me and Dr. Pauling with separate research interests. Nevertheless, Dr. Pauling could appreciate my discovery as, 32 years earlier, he had described the molecular basis for sickle cell anemia, which predicted that mutations in hemogloblin governed the sickled shape of red blood cells which caused the disease, sickle cell anemia. Likewise, human cancer cells exhibit altered shapes. So I resigned my secure job-for-life at NIH and moved to Palo Alto to join the struggling Linus Pauling Institute. My technician, Patti Porecca, hired from Bob Gallo’s lab at NIH, would follow me to the Pauling Institute. After I arrived at the Pauling Institute, two of my colleagues at NIH and I published a comprehensive study of the changes in protein expression between normal and neoplastic cells in Carcinogenesis using high-resolution computerized microdensitometry to analyze the complex protein patterns (my first paper from the Pauling Institute). This was the first time that such a study had been published, e.g. the comparative profiling of expression of a large number of proteins in neoplastic cells. It was a study of the 1,000 most abundant proteins in normal and neoplastic human cells which revealed potential biomarkers and causative genetic events for human cancer. At the time it was staggering to view these patterns but perfect for my dyslexic brain and mind’s eye. In addition, we published another paper in Cell that described, for the first time, the progression of a neoplastic human cell to a higher malignant cell following a second mutation in the same beta-actin gene. Early in 1982, Steve Burbeck and Jerry Latter at the Institute set up the same computerized microdensitometry platform I had exploited at NIH. Jerry Latter gave a stirring talk at Argonne Labs in Chicago demonstrating that computerized microdensitometry of protein profiles could be used to determine the identities of unknown proteins based upon determining their amino acid compositions in situ in protein profiles. This paper was published in Clinical Chemistry in 1984. 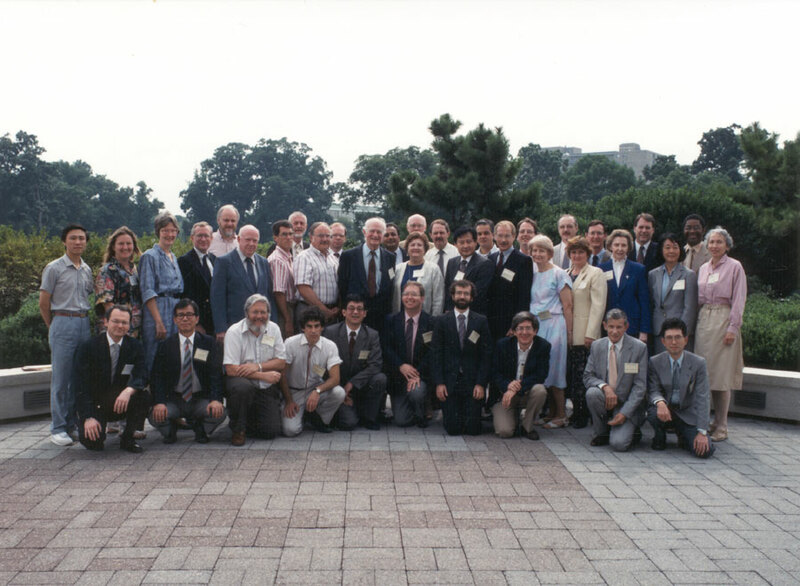 At the same meeting, Steve Burbeck described a truly innovative invention that could measure beta-particles emitted from radioactive protein profiles to produce a direct image of the protein profile pattern. 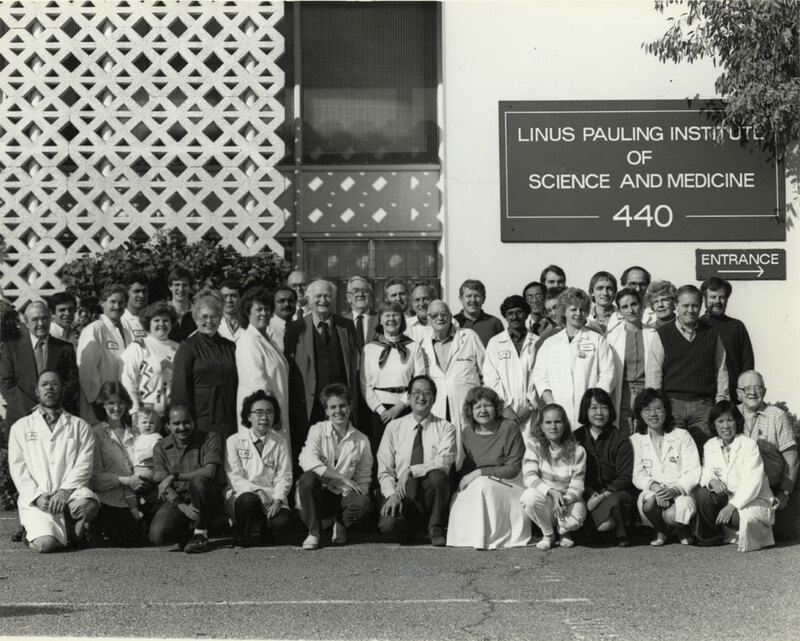 As a group we had entered an exciting period of discovery and innovation at the Linus Pauling Institute. When I got to Palo Alto in December 1981, I called Professor Larry Kedes at Stanford and we embarked on a collaboration to clone the human beta-actin gene. His impressive postdoctoral fellow, Peter Gunning, taught me some basic recombinant DNA techniques, and I was off to the races. The difficulty was to identify the functional gene in a sea of actin pseudogenes (sometimes referred to as junk DNA). I used an elegant method of homologous recombination developed in Tom Maniatis’ lab at Harvard that had never been used before to clone a novel gene (In fact, cloning of human genes was just getting started at the time). This was smart because Professor Maniatis would be the chairman of the NIH study section that reviewed my first grant proposal submitted from the Pauling Institute. I did not know it at the time but within a month or two I had cloned the functional beta-actin gene a week before Christmas in 1982. I developed a scheme to identify the correct gene among 300-400 clones of pseudogenes that Patti and I had cloned and the strategy worked. We gave Dr. Sun-Yu Ng the task of sequencing the DNA clone that we were betting on. Rather quickly we determined that we had cloned the functional human beta-actin gene because the DNA sequence that Sun-Yu determined from our candidate clone accurately encoded the amino acid sequence of human beta-actin protein that I had published in Cell in 1980 (with Klaus Weber). Quite coincidentally another lab discovered a rat oncogene that was a fusion of part of an actin gene with a tyrosine kinase gene. I sent this information off to the study section that was reviewing my grant in January 1984 as added evidence that the actin gene was in some way relevant to neoplasia. 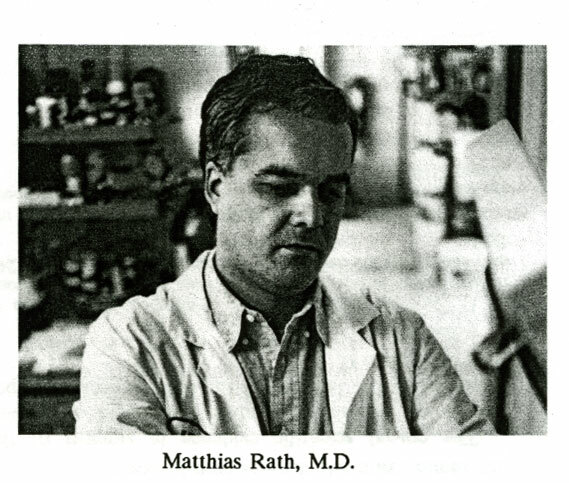 My colleagues and I at the Pauling Institute and Stanford published our successful isolation of both the mutant and wildtype human beta-actin genes in Molecular and Cellular Biology in October 1984. As shown below, we had given Armand Hammer’s name to our cancer research program because of his generosity in helping to fund the Linus Pauling Institute. In January 1984 I was awarded a grant of about $110,000 a year for two years from the American Cancer Society…what a relief. Later in the spring I received word from Professor Maniatis’ NIH study section that our program would also be funded in June by a grant of about $150,000 a year for 3.5 years from the National Cancer Institute for the same work. I was able to hire Dr. Ching Lin from Iowa State University and Dr. Ng (Sun-Yu) from Kedes’ lab. By 1985 Sun-Yu finished the complete DNA sequencing of the human beta-acid gene and Ching sequenced the copy of the beta-actin gene that had two mutations to formally prove the mutations at the level of the gene. Everything that we had learned about the genetic code and amino acid sequences of proteins made our findings predictable. I had learned from my own research how Darwin’s theory of evolution and natural selection worked. This was the year I finally successfully transferred in recombinant gene inside a cell in culture. 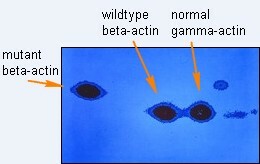 I transferred the mutant human actin gene into a rat fibroblast cell line to show that I had cloned the functional gene which could abundantly express its protein the way the natural endogenous beta-actin gene worked (shown in a protein profile below). At this point I had a brief meeting arranged by Emile with Alex Zafferoni, founder and CEO of Alza Corporation, a block away on Page Mill Road. Zafferoni recommended Bert Roland as a patent attorney. I arranged a meeting with Roland, also a block away, for that afternoon to discuss patenting the human beta-actin gene promoter because of its strong constitutive nature (the engine of the gene that drives its expression). I told Bert that this was a collaboration with Peter Gunning and Larry Kedes at Stanford. Roland was famous for filing Boyer’s and Cohen’s genetic engineering patent which created Genentech and eventually funded Stanford with hundreds of millions of dollars. We published Sun-Yu’s work on the sequence, structure, and chromosomal location (chromosome 7) of the human beta-actin gene in Molecular and Cellular Biology and we published Ching’s work locating three mutations in this gene in the Proceedings of the National Academy of Sciences, sponsored by Linus Pauling. A patent was filed on the beta-actin promoter and over the years it was licensed to about 15 biotech companies by Stanford University. This patent was prosecuted for the full 17 years (the life of a patent) but never issued. The Institute’s first royalty check was about $10,000 in 1986, but most of the royalties were earned by Stanford’s patent attorneys. Peter, Larry and I published a paper in PNAS on the use of the human beta-actin gene promoter for expression of other genes. This vector was distributed to anyone who asked for it – and many did – and to those companies that licensed the invention. At last count this paper had more than 1,000 reference citations. Our paper popularized the actin promoter as a strong constitutive promoter of foreign gene expression. Soon the rice actin promoter would be used to make Round-up Ready crops by DeKalb Genetics and Monsanto, and giant tilapia fish would be engineered with growth hormone under the control of the fish beta-actin promoter. There were even fluorescent mice running around in Japan created with firefly luciferase expressed by the beta-actin promoter (which I called “the cat’s meow”). Since cytoplasmic actins are the most abundant proteins in most cells you could use the promoter to abundantly express foreign genes in most cells of any animal. In 1987 we also published the culmination of my research on the mutant beta-actin gene in Molecular and Cellular Biology. When I introduced this gene into non-tumor forming immortalized human fibroblasts they became tumorigenic. The results showed that the more abundant the expression of the mutant beta-actin, the more tumorigenic the non-tumorigenic cells became and the cells that came out of the tumors were enhanced further in the level of mutant beta-actin expression. This was a sensational finding that was the goal of research which began with the discovery of the mutant beta-actin in 1978 at NIH. 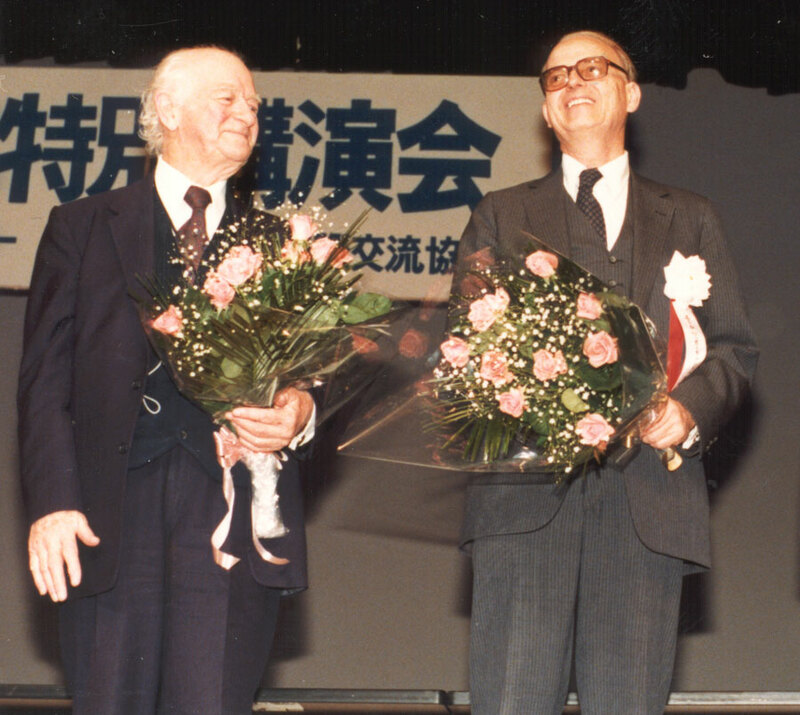 Pauling and Zuckerkandl in Japan, 1986. We close out our posting schedule for the year on a melancholy note with this remembrance of the life of Emile Zuckerkandl, who passed away on November 9th at the age of 91. Zuckerkandl was born in Vienna, Austria on July 4, 1922. His family was of Jewish descent and active in the scientific, artistic, and political culture of the time. His father, Frederick, was a biochemist and his mother, Gertrude, was a portrait and landscape artist whose father, Wilhelm Stekel, was an anatomist. His paternal grandfather, Emil Zuckerkandl, was also an anatomist – one of great prominence – whose wife, Berta, was a journalist and art critic. Berta also hosted salons in Vienna attended by all manner of literary, musical and artistic figures. She likewise used her position to speak out against Nazi occupation and militarization, a stance that forced the Zuckerkandls to flee from Austria into France in 1938 and to later to Algiers. The family’s flight from Vienna briefly disrupted educational pursuits for Emile, who was attending high school at the time. He finished school in Paris before going to university in Algiers where he studied medicine. While there – as he would relate in a 1996 interview with Gregory Morgan at the Dibner Institute – “I came to understand that it was biology that I was interested in, more than medicine.” He was soon expelled however, a victim of the Vichy’s anti-Jewish laws that extended to colonial Algiers. By this point, the only schooling still available to him was at the music conservatory, where he studied piano. 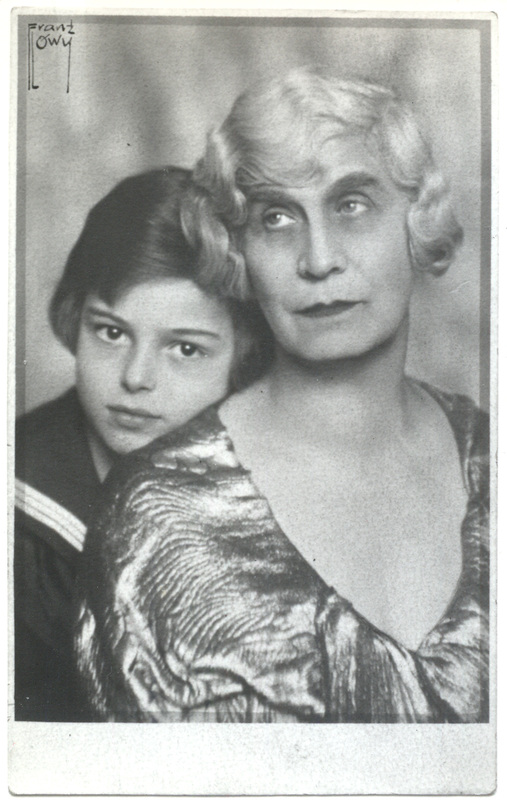 Emile and Berta Zuckerkandl, ca. 1930. Image courtesy of the Austrian National Library. While the family had escaped the dangers of residence in Austria and France, Emile’s outspoken grandmother was still not completely safe and so she sought to go to the United States. During this time, Albert Einstein took an interest in the young Zuckerkandl and helped him to obtain a scholarship to study in the U.S. The Zuckerkandls ultimately did not need to come to the United States as the Nazis were soon defeated, thus rendering France safe for the family once again. Nonetheless, Emile spent one year at the Sorbonne in Paris before taking advantage of the scholarship that Einstein had helped him to obtain. Once stateside, Zuckerkandl attended the University of Illinois where, in 1947, he obtained a master’s degree in physiology, spending summers researching at the Marine Laboratory at Woods Hole in Massachusetts. He returned to the Sorbonne afterwards and earned his PhD in biology. Following that, he spent ten years at the Roscoff Biological Station in western France – the country’s largest marine laboratory – where he carried out biochemical research. Emile and Jane Zuckerkandl, October 1970. Image courtesy of the Esther M. Lederberg Collection. In 1958, while in Paris, Zuckerkandl arranged to meet with Linus Pauling. The two had been introduced through Alfred Stern, an Austria-born professor of philosophy at Caltech and a friend of the Zuckerkandl family. 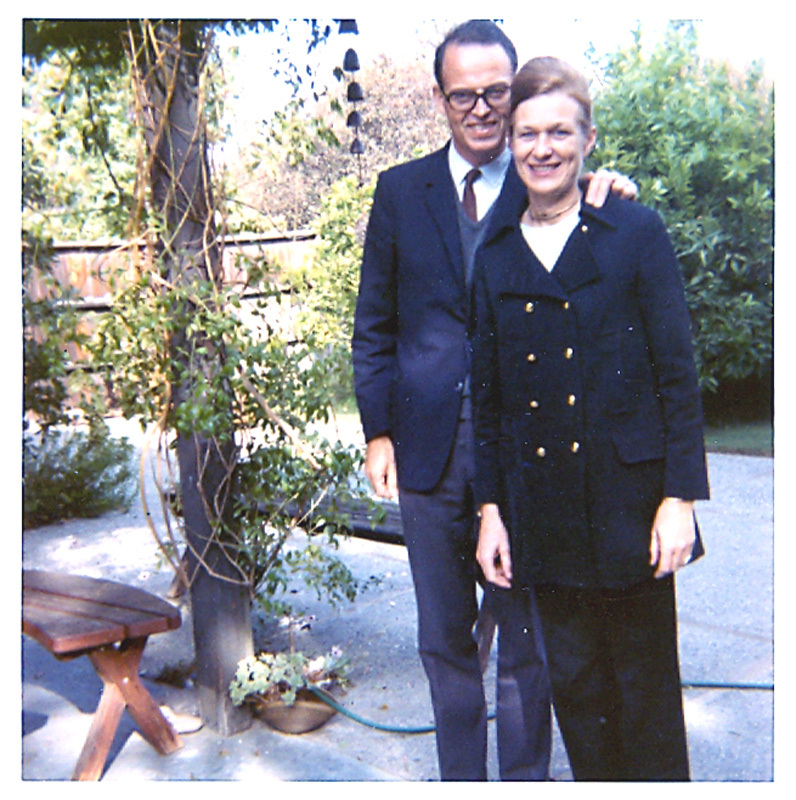 The following year Pauling recommended Zuckerkandl for a post-doc position at Caltech, stressing his relationship with Stern as well as with Charles Metz, who had received his PhD in biology from Caltech and was the brother of Emile’s wife, Jane. 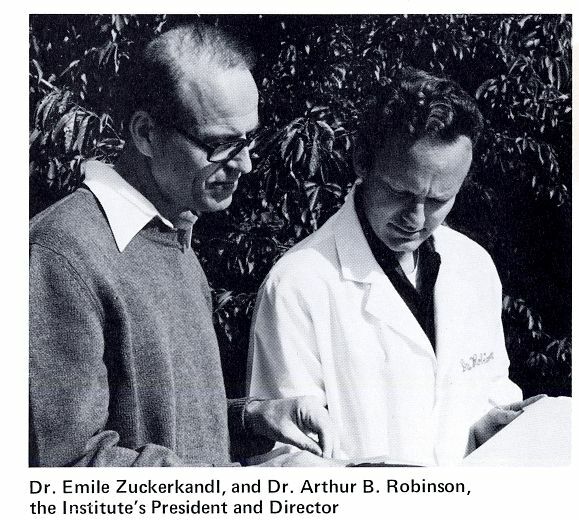 Buoyed by Pauling’s initial recommendation and continued support, Zuckerkandl spent the next five years at Caltech. While there, Zuckerkandl propelled important work on what would become known as the molecular clock. The project was spurred by a suggestion that Pauling made to Zuckerkandl; that he compare the hemoglobin protein sequences of humans and gorillas to trace their evolutionary development. As Zuckerkandl told Morgan, “When Dr. Pauling made this suggestion to me, I was not too happy,” as he wished to continue his own line of research. 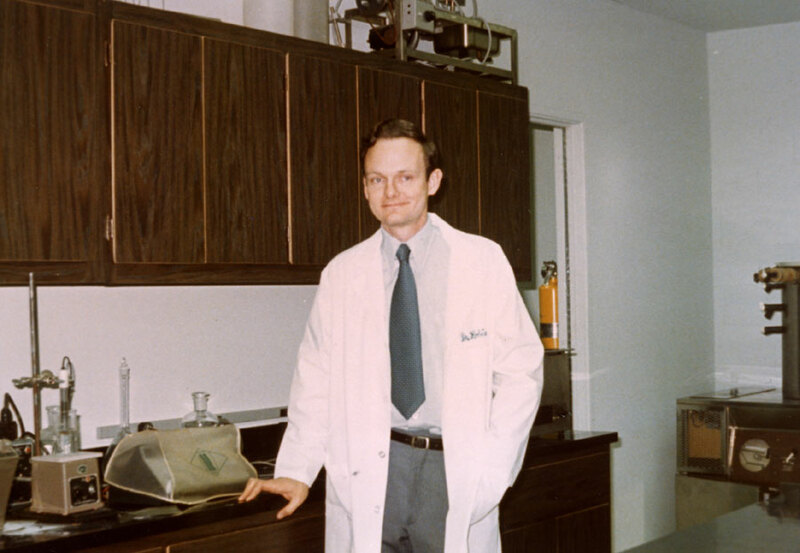 But “later I understood how right Dr. Pauling was… At first I did not know how lucky I was!” Indeed, the molecular clock and molecular evolution would form the foundation of much of Zuckerkandl’s scientific career. 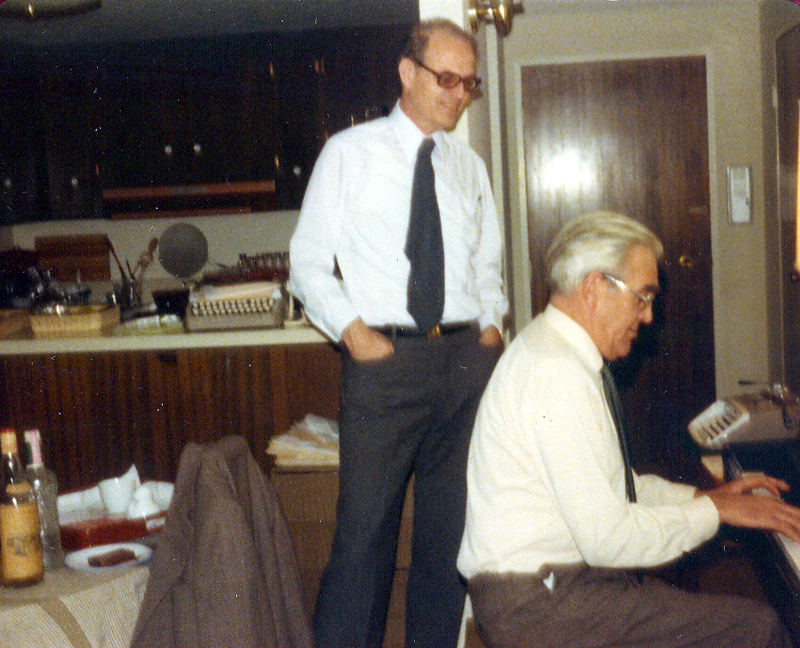 In 1961 Zuckerkandl, on Pauling’s recommendation, began working in Walter A. Schroeder’s lab, one of the few in the world researching protein sequences at that time. 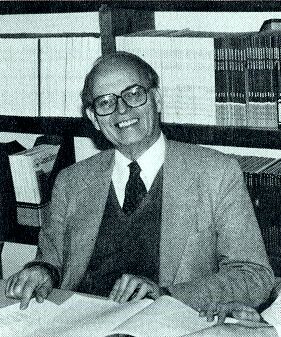 Zuckerkandl proposed that Schroeder coauthor the publication of his evolution work, but Schroeder refused due to his own creationist views. Pauling came to the rescue by suggesting that he coauthor with Zuckerkandl instead, but stipulated that they “should say something outrageous” since the piece was slated to appear in a prominent collection honoring the birth of Albert Szent-Györgyi. Morgan described the basics of the paper and its impact in a 2001 essay. The molecular clock hypothesis, as it came to be known, proposed that the rate of evolution in a given protein molecule is approximately constant over time. More specifically, it proposed that the time elapsed since the last common ancestor of two proteins would be roughly proportional to the number of amino acid differences between their sequences. The molecular clock, therefore, would not be a metronomic clock – that is, its ‘ticks and tocks’ would not be uniform – but would instead be a clock based upon random mutation events. In practice, a molecular clock would allow biologists to date the branching points of evolutionary trees. The molecular clock hypothesis, while rarely cited among Pauling’s most important discoveries, has proven to be very influential. The UC Berkeley biologist Alan Wilson claimed that the molecular clock is the most significant result of research in molecular evolution. In his book Patterns of Evolution, Roger Lewin describes the molecular clock as ‘one of the simplest and most powerful concepts in the field of evolution.’ Francis Crick, co-discoverer of the structure of DNA, called the molecular clock a very important idea that turned out to be much truer than most thought when it was proposed. For the remainder of his time in Pasadena, Zuckerkandl continued to develop his ideas, and in this was assisted in the laboratory by his wife, Jane. Yet he was also eager to return to France, fueled in part by continued uncertainty surrounding his funding at Caltech. Pauling tried to help by recommending Zuckerkandl for a position in the anthropology department at the University of California – San Diego and by bringing back to Zuckerkandl contact information for scientists in Europe. 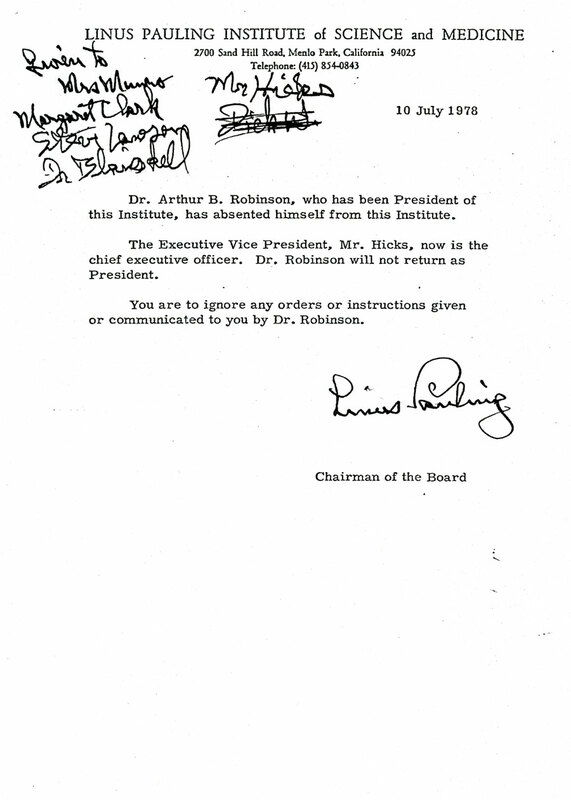 Upon returning to Europe for a conference in 1962, Zuckerkandl wrote to Pauling, “It was as exciting, after three years of life in California, to rediscover Europe as it had been to first discover America.” Soon afterwards, he obtained a position at a new research facility in Montpellier, France – the only hitch was that he needed to wait three years for it to be built. In the meantime, Zuckerkandl expressed worry to Pauling that his work on gorilla hemoglobin would soon “be out of date” because of the interruption posed by his return to France. Once Zuckerkandl and his research materials had finally arrived in Montpellier in 1965, new problems arose. He told Pauling, “I did not foresee the particular kind of obstacles that I find in my way. 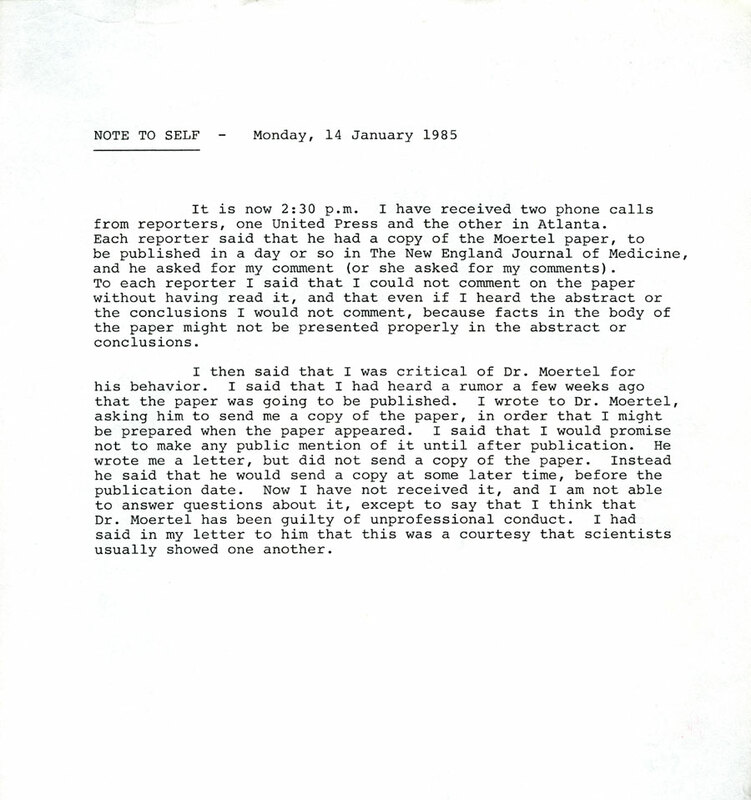 Bureaucracy is taking over the direction of our laboratory.” (In a 1971 letter, when asking how Pauling had been such a “great fighter” for peace and science, Zuckerkandl concluded that it could only have been because Pauling had “not tried to found a research department in France.”) This manner of struggle proved a defining feature of Zuckerkandl’s years at Montpellier and it was not long before he and Pauling began seeking out avenues to reunite, both through short visits and Zuckerkandl’s standing invitation for Pauling to come to Montpellier as a visiting researcher. A bright spot occurred in 1970 as Zuckerkandl was offered the editorship of the new Journal of Molecular Evolution by Conrad Springer. Zuckerkandl with Ewan Cameron, New Years Day, 1979. Image courtesy of the Esther M. Lederberg Collection. Zuckerkandl eventually decided to leave France and return to the United States. In 1975 Pauling offered Zuckerkandl lab space at the Linus Pauling Institute of Science and Medicine, but by then he was already at Woods Hole where he hoped details might get resolved at his old position and he could return to Montpellier. A bit later, when Zuckerkandl decided to take Pauling up on his offer, Pauling had to turn him down due to the Institute’s mounting financial problems. Zuckerkandl stayed at Woods Hole and had assumed a visiting professorship at the University of Delaware when, in 1976, Pauling offered him a year-long non-resident fellowship. Zuckerkandl quickly moved up the ranks at the Institute. At the end of his fellowship, Pauling recommended that he be sponsored for a two year visa and become Vice Director of the organization. 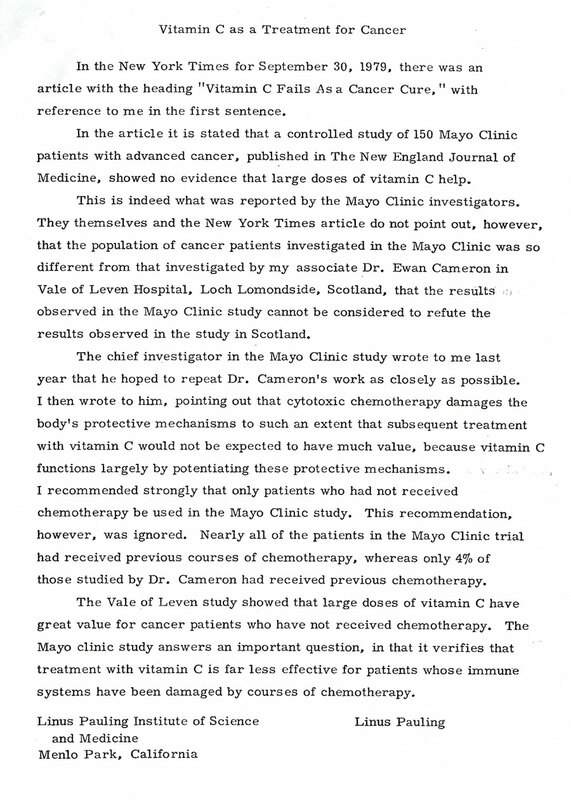 By 1979 Zuckerkandl held the additional positions of Vice President and Research Professor, assuming responsibility for carrying out his own work on vitamin C and cancer while also helping Pauling with administrative duties. By the end of the year, Zuckerkandl was taking on even greater administrative responsibilities from Pauling, including budgeting, fund raising, and finding a new home for the Institute. The following year, Zuckerkandl was made President and Director of the Institute. Funding continued to be a problem, with each advance seemingly countered by a setback. Typically, at about the same time that the Institute agreed to pay a settlement to Robinson, Zuckerkandl also oversaw the opening of the Armand Hammer Cancer Research Center, with support from its namesake. 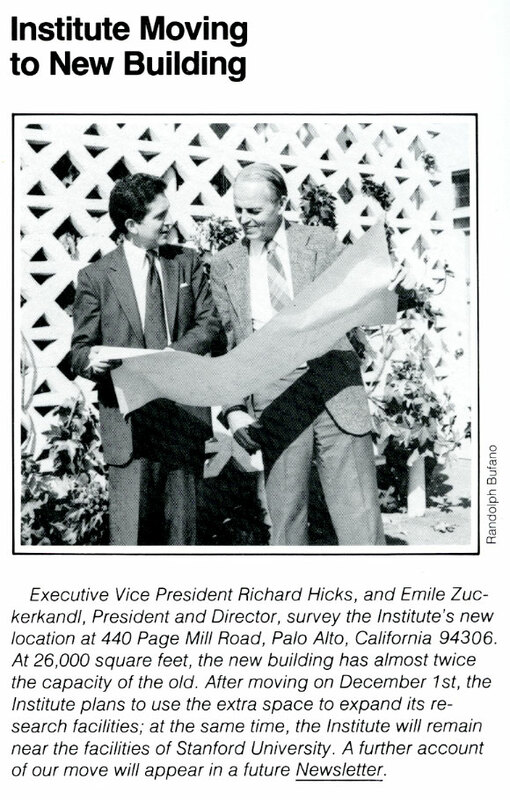 In 1985, to show his dedication to the Institute, Zuckerkandl deferred a raise that he had been offered until it could be afforded. However, in 1992 Zuckerkandl’s contract was not renewed. By then the Institute was in a dire financial position and needed to make some very difficult decisions concerning staffing and programs. Nonetheless, Zuckerkandl remained in the building through a lease agreement between LPISM and his new Institute of Molecular Medicine. He also invited many LPISM staff, some of whom had also been laid off, to join him in his fledgling enterprise. When not managing a research institute, Zuckerkandl continued to produce work on molecular evolution. 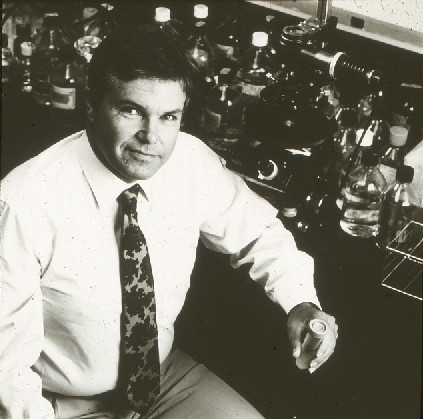 In 1997 and 2007, continuing a career-long debate over the relationship between molecular evolution and natural selection, Zuckerkandl addressed molecular diseases and “junk DNA” to argue against the neutral theory of molecular evolution. Beginning in the late 1960s, Motoo Kimura, Jack King, Thomas Jukes, and others had used the molecular clock idea to suggest that evolutionary change occurs not because of natural selection, but due to neutral random mutations and allele drift. Zuckerkandl disagreed, arguing that natural selection and the molecular clock were compatible. Zuckerkandl not only argued against what he saw as misapplications of his own ideas, but also against broader cultural attacks on science. Beginning in the late 1980s, he began to speak out against creationists, telling Pauling in a 1991 memo that “since in this country they seriously threaten education and culture, a response to them needs to be made.” As Zuckerkandl saw it, the threat was not only cultural but also involved the health of humanity and of the Earth. In a 1991 draft titled “Genetic and Esthetic Winter,” which he shared with Pauling, Zuckerkandl proposed the need for more control of population growth to curb human impact on the environment, an imperative that he saw as being impeded partly by religious beliefs. Zuckerkandl also turned his gaze toward enemies within the academy, attacking the application of social constructivism to science. In a 2000 paper, he argued that while scientific discoveries may be socially determined, the “mature” results that lead to practical applications, especially in technology and medicine, is “evidence for independence” of science from similar influences. In this situation, curiously, scientific culture is perhaps the least threatened province of culture. Yet knowing and knowhow are not enough. Perceiving and feeling cannot be replaced by engineering. We can’t be satisfied with preparing a future in which the environment will be enriching only for the vocation of engineers. Zuckerkandl’s health steadily deteriorated as he advanced in age. Over time, a troublesome back proved to be especially problematic. He died on November 9, 2013 in Palo Alto, California, the victim of a brain tumor.